Huge antiwar demonstrations took place in Washington DC and/or at the Pentagon from 1965 when the war first escalated until the end of the war in 1975. The crowds often exceeded half a million. The demonstrations grew increasingly violent with the years, at least by domestic standards; the ones in the 70s generally were marked by police phalanxes with swinging clubs and tear gas. Columbia students would ride down in a caravan of chartered buses festooned with antiwar and political placards. On one such occasion, the tear gassing was so bad that the bus drivers left without us. Eventually when thousands of stranded demonstrators found their way to the DC bus station on K Street and lined up at the ticket window, their clothing was so saturated with gas that the ticket agents had tears streaming down their faces. 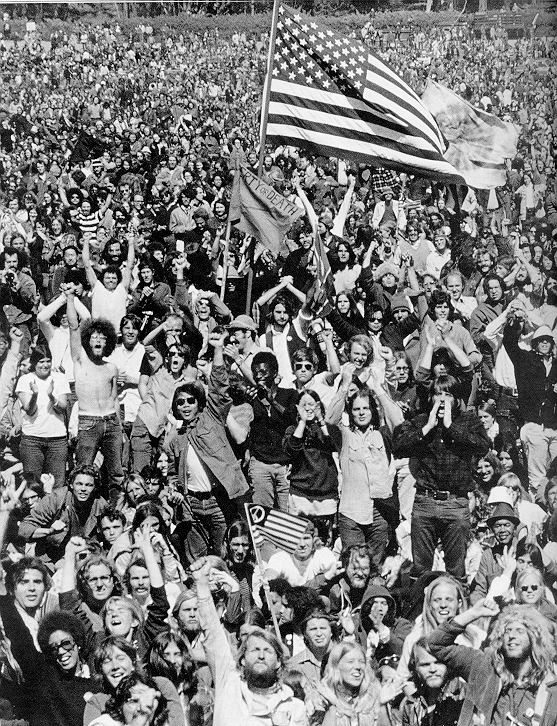 Columbia was also well represented at the frequent antiwar demonstrations at Wall Street, the Times Square military recruiting station, and the Induction Center at Whitehall Street immortalized in Arlo Guthrie's Alice's Restaurant .